The GIF's Geospatial Work space is located in 111 Mulford Hall. The space offers 13 desktop computers with geospatial software, a full-color letter-sized printer, a large-format plotter, a letter-sized scanner, and a conference room. Contact GIF staff to set up a user account. 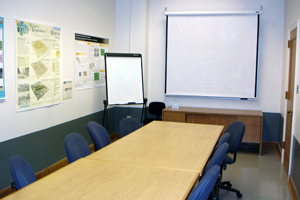 The GIF helps to maintain the College of Natural Resources Teaching Lab, located in 124 Mulford Hall. 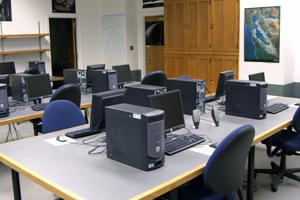 The space offers 24 computers with geospatial software, a black-and-white letter-sized printer, and a mounted projector for instruction. 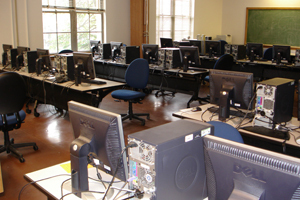 The room fits up to 48 students with 2 at each computer. Events and classes taking place in the 124 Mulford can be found on the GIF calendar.